We’ve all experienced the frustration of spending time online shopping, painstakingly choosing just the perfect items, going all the way through the checkout process only to find the shipping charges so high you throw your hands up and walk away. Don’t you hate that? We do too. 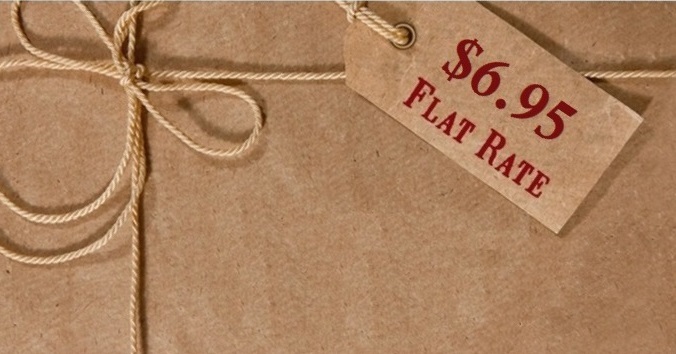 Welcome The Quilt Cottage's Flat Rate Shipping Policy...no surprises, no padding profit margins. Order all you want for $6.95—one price ships it all. We ship mainly via UPS, however there are times when other carriers are used. Please be sure to include an actual,physical address. We are unable to ship to PO Box addresses. Shipping is a flat rate of $6.95 per order. Please allow 48 hours after you have placed your order to check on the status. We will attempt to cancel any unshipped order, provided you notify us within 24 hours of placing your order. We currently only ship orders to the contiguous 48 states.